Every college student knows the stomach-churning feeling of viewing their tuition bill at the beginning of each semester. Whether relying on financial aid, scholarships, help from family, or a full-time job, getting all of the funds needed to pay tuition can seem like an insurmountable challenge. In order to get through college, the majority of students take out loans; as of 2016, the average student owed $37,172 on their degree according to Forbes. This collectively amounts to $1.5 trillion owed by students seeking a degree in the United States. According to US News, as of 2018, the average rate of tuition at a public university ranges from $9,716 for in-state students to $21,629 for out-of-state students. Across the country, this average is steadily increasing each year, making it more difficult for future college students to afford an education. 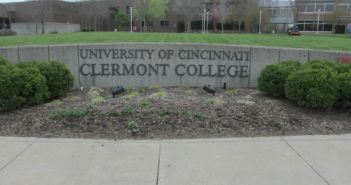 At the University of Cincinnati, tuition rates range from $5,916 per year at the Clermont branch to $11,600 per year at the main campus. This accounts for basic tuition; full-time students still have to consider textbook prices, health insurance costs, meal plan prices, additional fees, and housing costs that range between $6,756 to $9,174 per year if they choose to live on campus. This means that, overall, the cost of a four-year degree is between $23,664 to over $120,000 depending on the student’s campus and housing decisions for each of the university’s 45,949 students. Last April, UC President Neville Pinto announced a tuition freeze that applies to the 2018-2019 academic year. This is the fifth year the tuition freeze has been in place. This helps reduce the financial burden of educational costs on students, allowing them to take out fewer loans. Beyond keeping tuition costs consistent, the University of Cincinnati also offers different scholarships for students who excel academically or come from disadvantaged backgrounds. 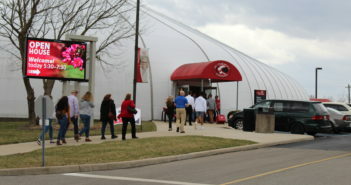 UC Clermont students can boast having one of the lowest tuition rates of any college in the state of Ohio. This comes with access to 54 different programs, access to tutoring services through the Academic Success Center, the ability to join any club on campus, and a community of students and professors eager to facilitate learning. The Clifton campus, although pricier than Clermont, offers one of the best cooperative education programs in the world, is in the top 100 schools in the United States for veteran support, and is currently ranked as the 111th best value school in the country. For more information on UC’s rankings and historical achievements, click here. This rich history and the phenomenal amenities offered at UC comes at a price comparable to public universities across the nation. While paying for an education can strain students’ resources and require them to take out loans, the university is taking action to alleviate this. While tuition costs have not yet been formally determined for the 2019-2020 school year, the current freeze has been in place for five years. The university has declared giving students access to an education is one of its top priorities, and based on past actions, this ideal will surely be reflected in the future.